Timing is everything, especially when it comes to reproduction. Well-timed reproduction improves reproductive success. For example, offspring that hatch when food is abundant or predators are scarce are more likely to survive. However, changing environmental conditions may cause organisms to miss the best time to reproduce. Since environmental variability is ubiquitous on a wide range of spatial and temporal scales, the ability to adjust to changing conditions can improve an organism’s chances of reproducing “on time”. 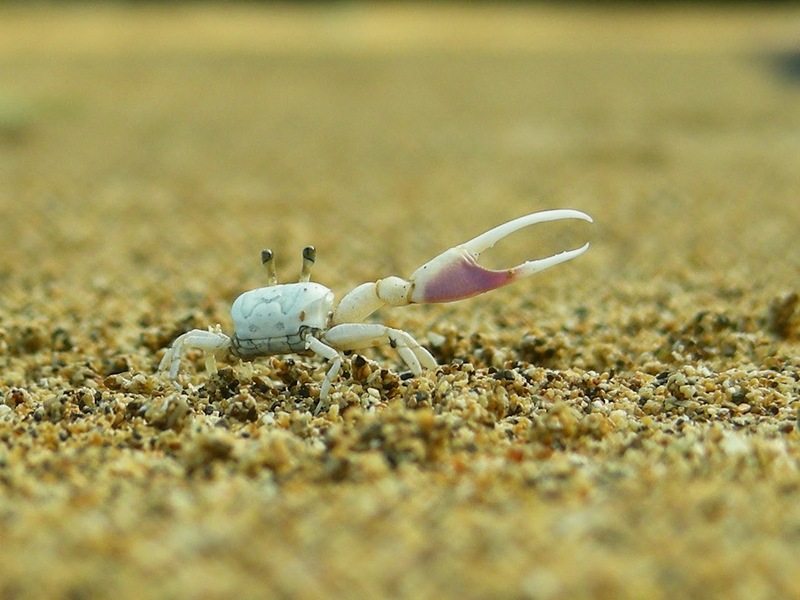 During my time as a NEO student, I focused on how fiddler crabs respond to temperature changes to maintain the timing of hatching of their larvae. Temperature is a major factor affecting the timing of reproduction in ectothermic organisms because it determines the rate at which embryos develop. As temperature increases, the period of time between mating and when the babies are ready to hatch decreases, and vice versa. 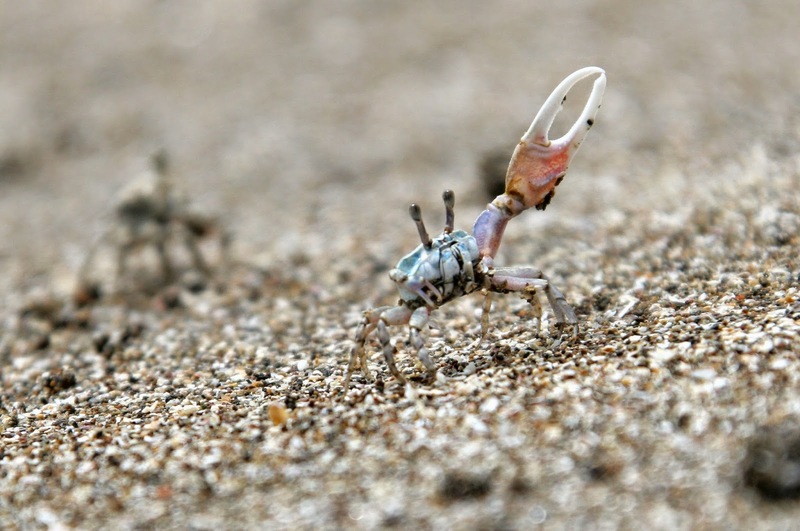 Fiddler crab females precisely time the release of their larvae during the large amplitude nighttime high tides that occur approximately every two weeks. By timing the hatching of their offspring during these particular tides, the females minimize the risk of predation by fishes to themselves and to the newly hatched larvae. But in order to hit this targeted timing, the females must either account for the developmental period of the eggs (and temperature-induced changes in it), or they must control it. Most, though not all, of the ways that organisms can maintain reproductive timing in response to temperature changes are behavioural. For example, as changing climate is causing earlier springs, some bird species are laying eggs earlier in the year so that their offspring still hatch when their food is most abundant. Another possible response is to select the location where the eggs will be laid and incubated based on temperature, such as a relatively warmer location if temperature decreases before the eggs are laid, or a cooler location if temperature increases. Some lizards and spiders use this method of adjustment. For species that carry their eggs throughout incubation or that can control the temperature of the incubation site throughout development, there is the option of actively regulating the temperature that the embryos experience. Some bird species actively maintain the temperature of their nests. This is also probably a more common response in egg-carrying invertebrates than has been documented thus far. As part of my PhD project, I studied the timing of courtship and hatching of larvae of two species of fiddler crabs across seasonal and spatial differences in temperature. My research was conducted in Panama, based out of the Naos Marine Laboratories at the Smithsonian Tropical Research Institute (STRI). My colleagues and I found that Uca terpsichores respond to changes in temperature by changing when they court: when temperature decreased, males courted earlier. In addition, we found that these shifts in timing of courting and mating minimize errors in the timing of larval release… most of the time…. 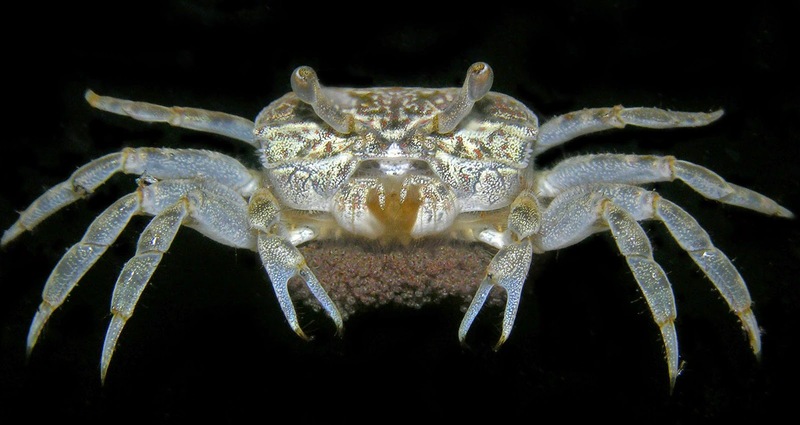 Since this method of adjustment does not allow the crabs to account for changes in temperature that occur after incubation begins, this species makes errors in timing when temperature is variable. In contrast, despite large changes in temperature in its habitat, Uca deichmanni does not adjust its courtship timing BUT, for the most part, they maintain timing of larval release in the field. This species only made errors in timing when temperature was low and constant. It appears that female U. deichmanni may, to some extent, regulate the temperature of their embryos during incubation by moving up and down in their burrows and exploiting the thermal gradient in the sediment, although this hypothesis has not yet been tested. This species is vulnerable to large prolonged changes in temperature that may exceed the limits of their thermoregulating abilities. Thus, these two closely related species that often inhabit the same beaches, both appear to adjust to temperature variations behaviourally, but in different ways. Surprisingly, behavioural adjustments to environmental variability, and the diversity of responses that species employ, remain underappreciated. However, over the last few years there have been calls for increased attention to the potential importance of plastic behavioural responses in mitigation of detrimental effects of environmental variation (Kearney et al. 2009, Sih et al. 2010). While many species are already being negatively affected by climate change, many others are likely able to diminish the impacts, at least to some extent, via behavioural responses. Much more research is needed to better understand how organisms respond to variable environmental conditions and what impacts these responses may have on their ecology.